This card has quite a combination of inspiration sources. I cut a Papertrey daisy out of Post-it notes and laid it on my card. I then taped down a Kelly Purkey stencil, creating a frame. Yes, my friends, I used a stencil. I even enjoyed it! I used Worn Lipstick, Mustard Seed and Mowed Lawn distress inks - I love how they blend to create additional colours! I finished it with a single pink pearl. There's still time for both these challenges: the deadline for Muse is Monday at 8 am EDT. You can then vote for your favourites until Tuesday morning. Results of the vote will be posted on Tuesday at noon. OLS runs until Sunday at midnight. I love stencils but never thought about putting a die cut under it. That daisy just pops out of the wonderfully blended lines. Thanks for the idea. This card is so great - I will definitely be caseing it! Ardyth this is such a gorgeous card, love your inspiration and the result fabulous! This is gorgeous, Ardyth! 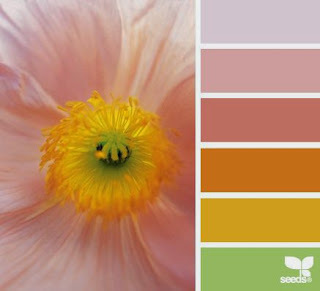 I love the warm and happy feel of these colours and I love that it's only 3 colours - they really do blend well! So fresh, bright and fun! A totally awesome card, Ardyth. 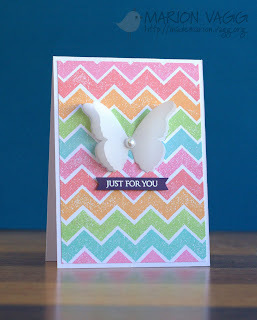 What a great way to combine all that inspiration...and I love the blending you achieved! 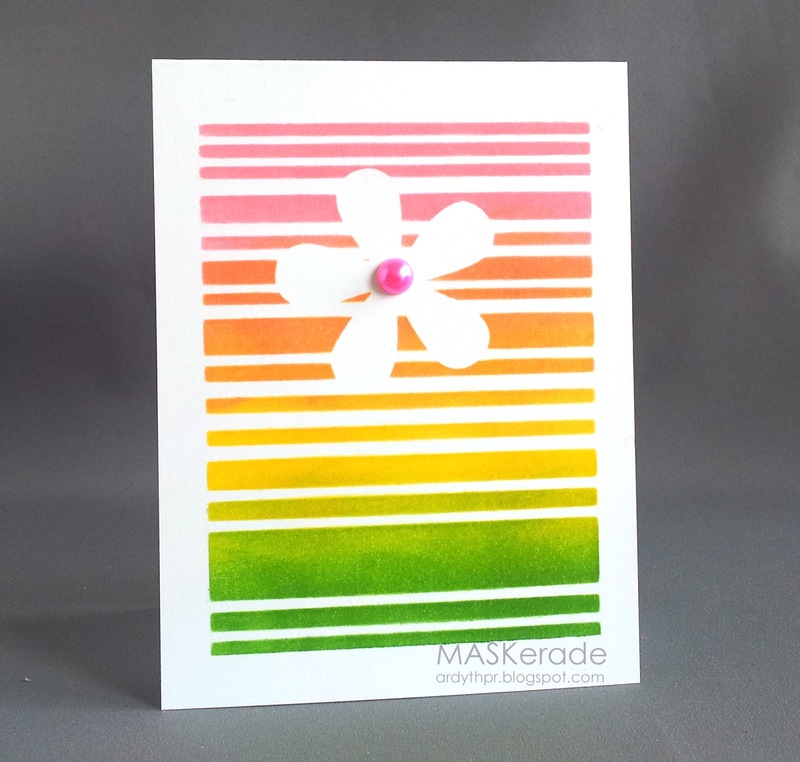 Love your colourful card Ardyth!